San Francisco, CA (January, 2016) — Award winning craft cocktail mixer brand Powell & Mahoney will exhibit at the 2016 Winter Fancy Food Show held in San Francisco, CA on January 17-19 at booth number 1756. Powell & Mahoney will begin the new year with great momentum after closing out a pivotal 2015 which included a growth capital investment from Fenwick Brands, Inc., a strategic partnership with Ignite Sales Management & Consulting, national distribution through leading retailer Target, a successful launch of carbonated cocktail mixers, and multiple industry awards and accolades. Powell & Mahoney’s on-and-off-premise growth has accelerated through specialty and natural, liquor, and foodservice distribution. SPINS, a division of Nielsen and the leading provider of retail consumer insights, analytics and consulting for the Natural, Organic and Specialty Products industry, recently named Powell & Mahoney #1 in Natural, #1 in Specialty, and the fastest growing mixer in Grocery. According to SPINS, the mixer category is the #4 category growth leader with Powell & Mahoney Cocktail Mixers leading the way. 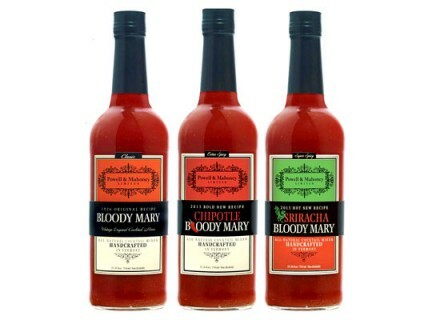 The innovative cocktail brand has gathered significant attention from the press, including being named “Best Margarita” and “Best Bloody Mary” by Real Simple Magazine and inclusion in People Magazine’s “Father’s Day Gift Guide.” Powell & Mahoney’s Margarita, Skinny Margarita, Jalapeño Margarita, Chipotle Bloody Mary, and Sriracha Bloody Mary have all received gold medals from the prestigious Beverage Testing Institute. The Spirits International Prestige (SIP) Awards, which is a consumer judged tasting competition, awarded both Peach Bellini and Mango Passion Fruit Margarita platinum awards.